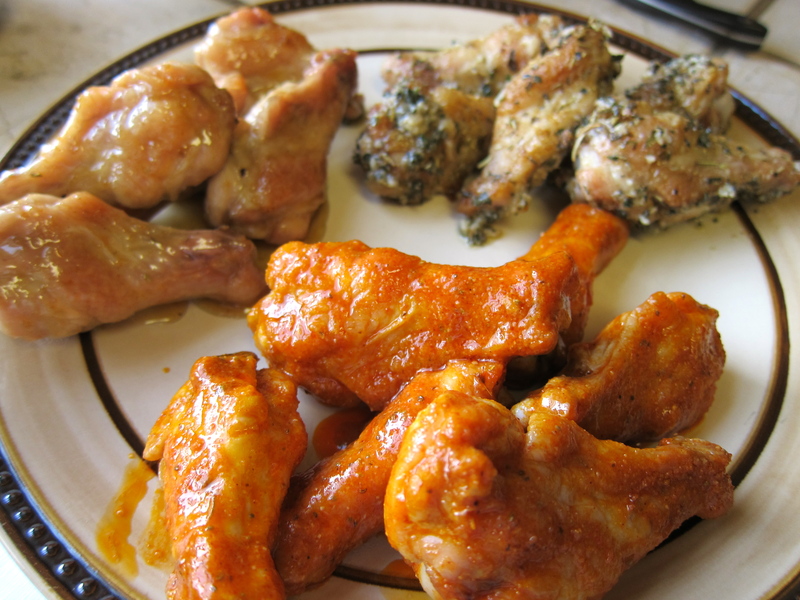 Chicken Wings…Spicy, Savory and Sweet! I hate to admit it but I’m hopelessly addicted. 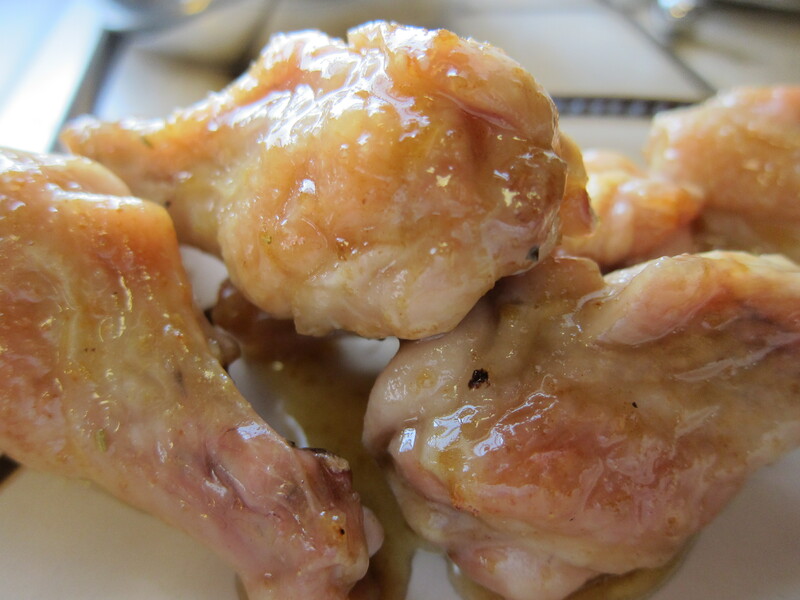 It started innocently with a fabulous recipe from Paleo Comfort Foods for Spicy Chicken Wings and then I branched out to a second wing recipe, Garlic Parmesan and now I’ve added a third wing recipe to the mix…Honey Dijon. Holy cow…what’s next? This past week as my husband and I were diving into a huge plate of wings (I was still only in the two recipe mode) we commented on how long we’ve been on the path in search of the perfect “home-made” wing. 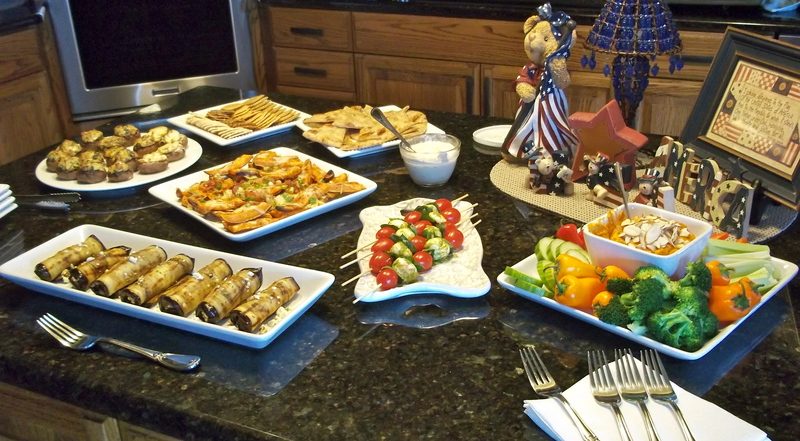 We reminisced about the countless ways we’ve tried to make them…we’ve grilled them, deep-fried them (breaded and not), shallow pan-fried them, roasted them…in glass pans, foil pans and on baking racks, we’ve steamed them, chilled them and then baked them (courtesy of Alton Brown)…Oy Vey! I’m happy to report that I have finally settled on the best way to make chicken wings…OFTEN. But, in all seriousness, I have found that my favorite way is to pat them dry (this is necessary for a crispy skin so don’t skip it!) and bake them at a high temp on a parchment lined baking sheet for about 30 minutes…they are juicy and crispy with very little mess! 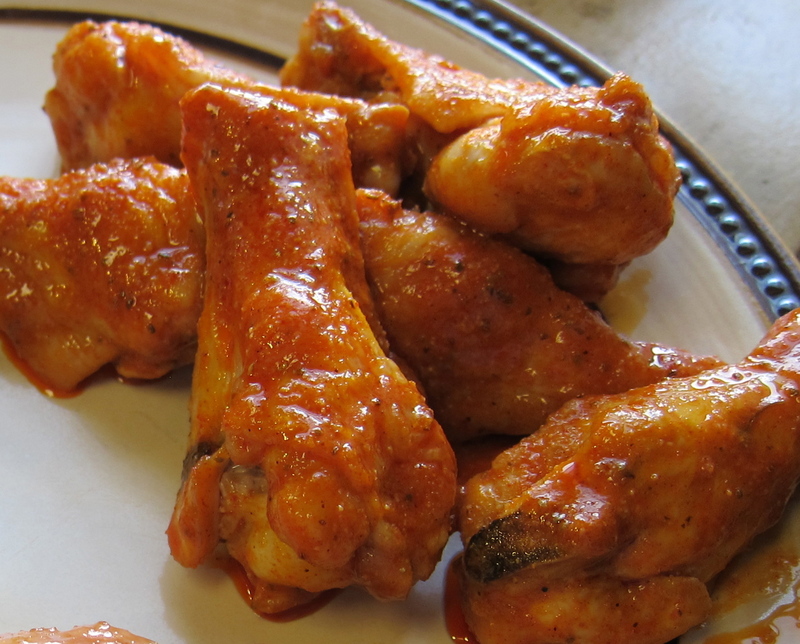 Classic Hot Wings…my current favorite. Preheat oven to 425 degrees F. Line a baking sheet with parchment paper. Rinse the wings and then transfer to paper towels and pat them dry. Sprinkle with salt and place skin side up onto the lined baking sheet. Bake for 25-30 minutes, until golden brown and crispy. While the wings are baking combine the remaining ingredients in a large sauce pan and heat over low heat until butter is melted and sauce is combined. Remove the wings from the oven and toss in the sauce to coat. Serve immediately. Preheat oven to 425 degrees F. Line a baking sheet with parchment paper. Rinse the wings and then transfer them to paper towels and pat them dry. In large bowl, whisk together oregano, rosemary, cumin and salt. 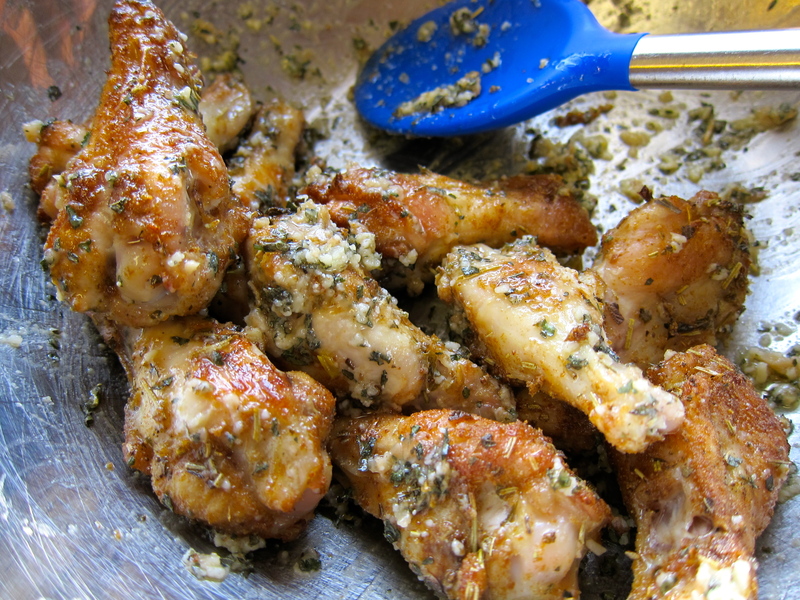 Add chicken wings and toss to coat, making sure that all wings get some of the herb mixture. Place skin side up onto the parchment lined baking sheet and bake for 25-30 minutes, until golden brown and crispy. 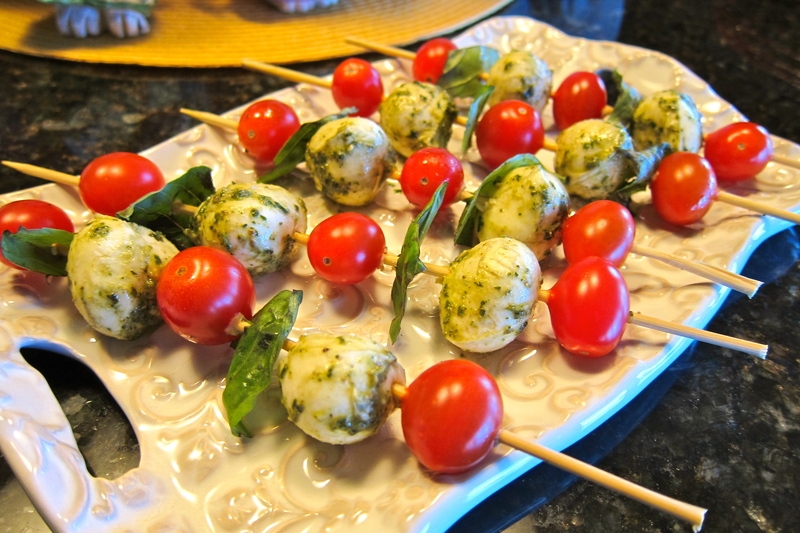 In another large bowl, whisk together the olive oil, basil, chopped garlic and Parmesan cheese. Add cooked wings and toss well to coat. Serve warm. Serve wings with ranch or blue cheese for dipping along with a nice side of raw carrot and celery sticks for good measure!